Tired of Hair Salons called Day Spas? So are we. At Aqua Day Spa, our mission is to deliver an exceptional spa experience in a relaxed, professional and ethical manner. In order to achieve our goal, we provide our clients with unique treatments that promote health and well-being. Our therapists have extensive training and are nationally certified. Many have worked for some of the best resort spas in the country, including Ritz Carlton and Canyon Ranch. 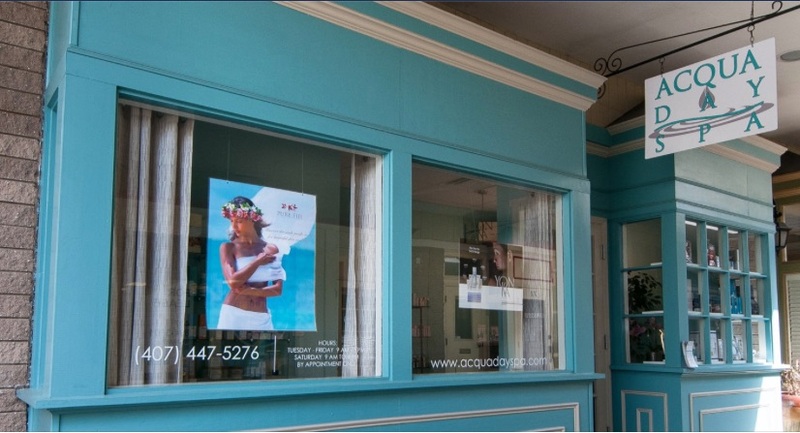 We strive to make your visit to Aqua Day Spa a wonderful and memorable experience. "It is our mission to provide our clients with the ultimate in customer service with all that we offer. In a world of hectic schedules where stress levels are on the rise, we invite you to experience Aqua Day Spa. Every service has been designed to encourage well-being, restore calm, rejuvenate your body and nurture your spirit. We hope to meet and exceed your expectations."